At the Consumer Electronics Show in Las Vegas, Sony CEO Kaz Hirai denied that Sony's service would compete with pay TV companies such as Comcast or DirecTV even though it plans to sell consumers a package of live television channels, which they currently get through cable providers. Sony Corp will begin testing a new television service that combines traditional viewing with on-demand content through its PlayStation gaming system, a cloud-based service that could possibly change long-established cable and media industry relationships. Sony executives described the as-yet unnamed service on Tuesday as a blend of live cable, on-demand and DVR content. Speaking at the Consumer Electronics Show (CES) in Las Vegas, they promised an intuitive design for searching for content - addressing a common complaint of cable customers. Sony's embryonic effort builds on similar moves by Microsoft Corp (MSFT.O) and Intel Corp (INTC.O). Viewers could buy viewing packages through Sony, much as customers now do through cable operators like Comcast (CMCSA.O). As envisioned, the service would allow subscribers to play games, call up TV shows and movies, and tune into broadcast channels via a single box. It was unclear how advanced Sony's project was. It did not announce any deals with media companies, but said details will be forthcoming and the service will be tested and unveiled this year. Sony CEO Kaz Hirai told reporters on Tuesday the company had struck up "a good dialogue" with content holders, or media companies. But he stopped short of describing the impact on the cable industry. Hirai denied that Sony's service would compete with pay TV companies such as Comcast or DirecTV even though it plans to sell consumers a package of live television channels, which they currently get through cable providers. "We're offering live TV and we're combining it with other video services... We don't set out to do this and say we're going to compete with cable companies," he told reporters. "Whether you believe it's competitive or not, that's your question." Sony, which already owns a major film and entertainment production business, says it is trying to create a more personal service for consumers accustomed to getting much of their TV content through cable providers. Intel Corp also tried to shake up the traditional TV industry with Intel TV. But the chipmaker has struggled to seal deals with major media corporations, and is looking to sell the business. Negotiations between new players and entrenched cable and media industry companies have been tricky. Industry sources say the difficulty of working out subscriber fees, plus media providers' reluctance to jeopardize long-established relationships and businesses, have complicated efforts by Apple and Intel to stream content directly off the cloud and into living rooms. 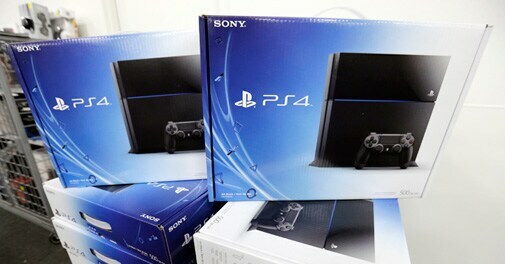 Hirai said the Playstation's installed user-base of about 70 million households gave Sony a competitive advantage. Microsoft Corp, the other big purveyor of gaming consoles, is also battling for a slice of the increasingly crowded living-room entertainment space. It plans to develop its own programs while ensuring that the Xbox One console streams popular media apps such as Netflix. Meanwhile, on-demand services such as Netflix, Hulu and Amazon's Instant Video are rapidly expanding their audience. "For years, consumer electronics companies have tried in various forms to transform the living room and the home entertainment experience because it is fundamentally outdated and flawed," Playstation chief Andrew House told the Las Vegas crowd earlier on Tuesday. House also said Sony has sold 4.2 million PlayStation 4 game consoles as of December 28, surpassing the 3 million Microsoft Xbox One devices sold as of end-2013. Sony also plans to launch "PlayStation Now" this summer, a service that will stream games from remote cloud-based servers to consoles, TVs, tablets and smartphones, House said.